The Canaries opened up a four-point gap at the top of the standings by securing a hard-fought 2-1 victory at Rotherham United on Saturday, with City having now reeled off six consecutive league victories. We know we are in a brilliant position, but we know the hard work is still ahead. Their promotion hopes were also helped by closest challengers Leeds United losing 1-0 at home to Sheffield United, who took over in second place above their Yorkshire rivals. 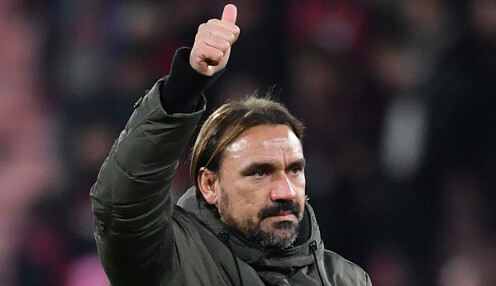 However, Farke was eager to ensure that his players remain fully focused on the task in hands, with the Canaries hoping to return to the Premier League after three seasons in the second tier. The German told the East Anglian Daily Times: "Of course we know the situation now. Not just to Sheffield United and Leeds United, but to improve the gap to West Brom and Middlesbrough. "More or less we have a big chance to finish in the top four, but we know we are in the fight for automatic promotion. "Some tough games still to come. In the Championship the momentum can swing quickly. We know we are in a brilliant position, but we know the hard work is still ahead." Norwich are currently priced at 1/66 to earn promotion this season, while they are 1/8 to claim the Championship title. Their next assignment is a tough one, as they head to the Riverside on Saturday 30th March to take on a Middlesbrough side who are battling to secure a top-six finish and a place in the play-offs.